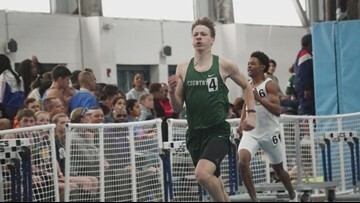 Emerson Douds is a multi-record holder track and field athlete at Weddington High. 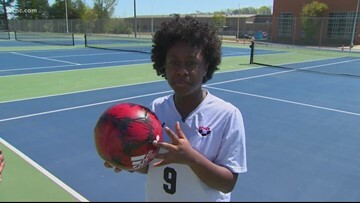 To find Camryn Jamison, you might have to hit the field, the court and the pool. Jamison does swimming, tennis and soccer. She wants to hit a different field after college, though -- computer science. 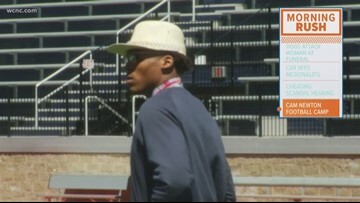 Panthers quarterback Cam Newton announced that he will be hosting a football camp in Savannah, Georgia this summer featuring 24 high school teams from across the Peach State. 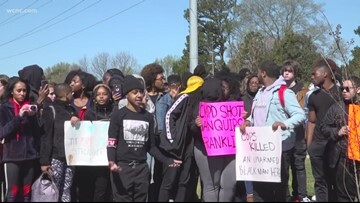 About 100 students from Northwest School of the Arts walked out of class just days after a CMPD police officer shot and killed Danquoiors Franklin in the parking lot of the Burger King just up the street from the school. 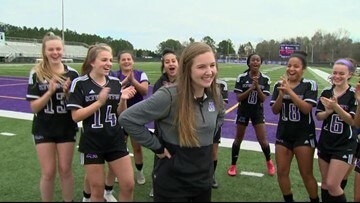 McDermott plays soccer for Ardrey Kell High School and she is excelling on and off the field. 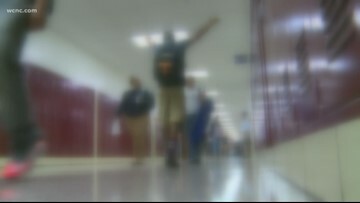 CMS new campaign is inspired by hope not by fear. 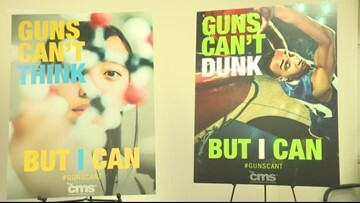 As part of their goal to keep guns off school campuses, CMS announced a new campaign called GunsCant. 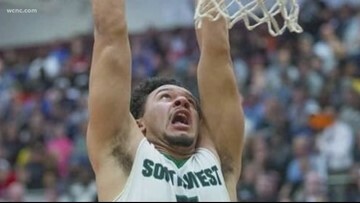 During the team's playoff game, Christian went up for a dunk. When he came down, he hit his head on the floor. He was rushed to the hospital with a brain bleed. 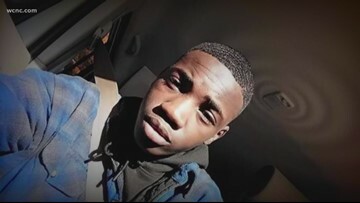 Officials say he was put in a medically-induced coma. The Lions may not have won the championship, but the team's pride and the community's support for them hasn't faded. 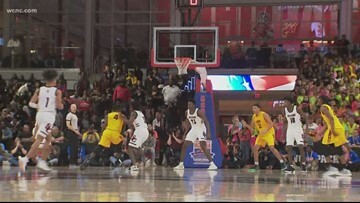 The team overcame a lot to get to the championship. 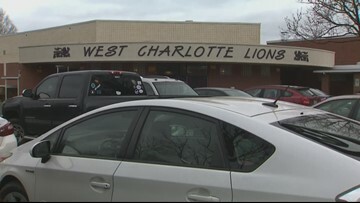 West Charlotte basketball was thrust into the headlines after an Ardrey Kell player used a racial slur against the team. A week and a half later, the Lions are heading to the 4A Championship game over the weekend. 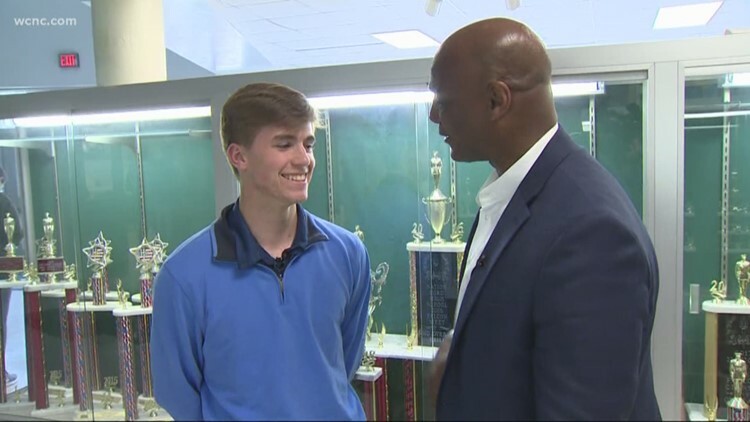 Marcus Woods is a track and field athlete at Charlotte Country Day School, whose talents are taking him to an Ivy League School in the fall.